One of the things we talk about in our Social Media for Florists workshop is the importance of finding and celebrating your distinctive creative style. This is at the very heart of using social media successfully and gaining real traction, however large or small your business. Finding your unique style, however, can be easier said than done. In a world where you’re very much responding to the brief of a bride or event organiser, how easy is it to find or develop a creative style? Let’s start by considering some people at the top of their game. Simon Lycett is known for his lavish style. You’d know that if you went to him you would get something thoroughly flamboyant and wonderful. Similarly, if you were to work with Vic Brotherson of Scarlet & Violet you’d get something equally wonderful, but perhaps a little more natural, dare I say quiet, and organic in feel. Paula Pryke would deliver a very different style again: packed with colour and more directional in style. 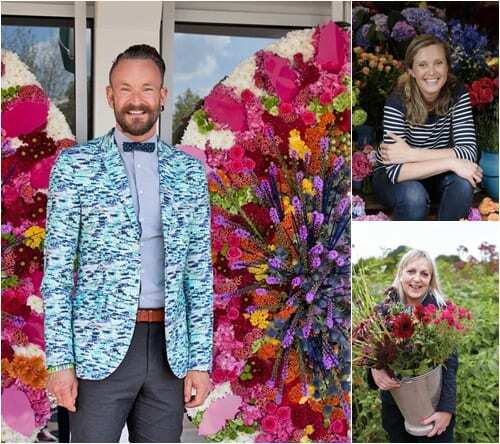 The point is that each of these florists has a strong sense of creative direction which they own and celebrate. And people buy from them because they love their style. So what would your creative style be? Start by thinking about your approach to floral design. What makes you different? Which events do you love working at? Which sorts of clients do you love working for? What briefs make your heart sing and which make your heart sink? Use colour psychology to help you identify your approach and also how to communicate that across your social media channels. Create a visual mood board to help you find the links between your projects. Which images of your work tell a coherent and cohesive story and which just don’t fit with the rest of your work? Does that help you shed some light? Rona and I will be working through this and much, much more at our Social Media for Florists workshop on 1st October. There’s now only one place left, so be quick! I’ll also be running a Colour Psychology workshop the day before which will be the perfect kick-starter to the day. If you’re currently in the process of launching or relaunching your website you need this workshop! Full details here. I look forward to seeing you there.